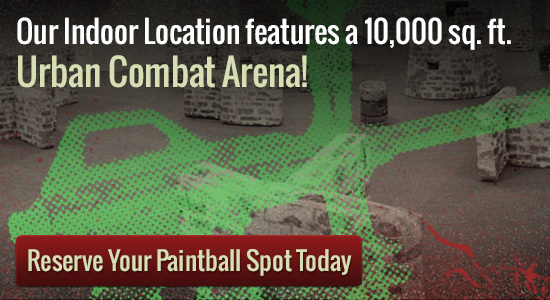 Looking for paintball stores in MN that can also double as a place to play? Paintball stores in MN and paintball fields provide the perfect place to buy and rent paintball gear. You will find the proper equipment to purchase at our Minneapolis location, Splatball. Venues and paintball stores in MN like our Minneapolis location give the players a variety of places to go to shop and have fun playing a sport they love. Our Minneapolis indoor location features a playing field as well as a pro-shop. It features a 10,000 square foot urban combat arena as well as the largest retail store/tech center in Minnesota. The entire facility is climate controlled for maximum comfort. We even have an observation area and private party room. Our paintball fields and paintball stores in MN provide locations for the players with excitement to the point where groups can compete and show off their new-learned and developed skills. Some players like to strive for perfection, others really enjoy spending time with friends, and many enjoy the competition. This gives the players a starting chance and practice in developing new skills and endurance for playing the game. Looking to play a private game at Splatball? We can accommodate groups of 150+. We are capable of running private games 7 days a week, dawn until dusk. Please call us at 612-378-0385 if you have any questions or if you would like to reserve a time. Please call ahead in advance as reservations are required.